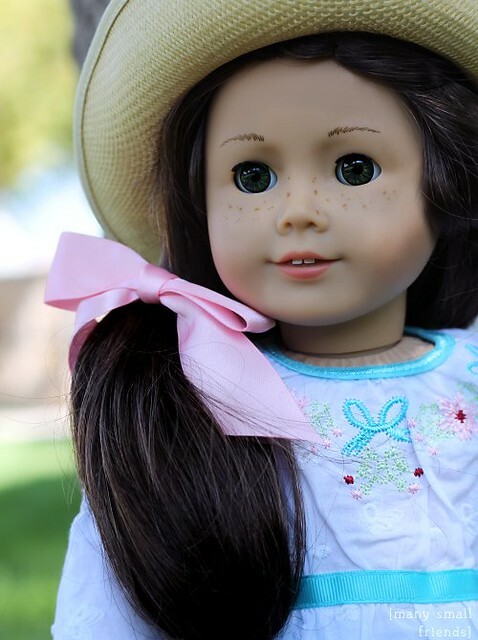 If you’re an American Girl enthusiast, no doubt you’ve been anticipating last week’s long awaited relaunch of AG’s Historical line of dolls, clothing, and accessories. Well, Beforever is finally here, and the first of my purchases has arrived! I’m not sure who was more excited, me or my small friends. 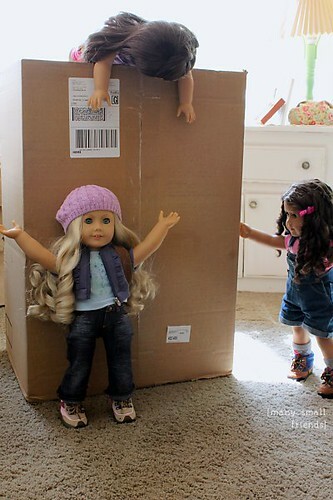 The biggest Beforever news was the release of Samantha Parkington from her short imprisonment vacation in the American Girl Archives. While I’m not interested in collecting for Samantha, I’m not above cherry picking her stuff for my modern dolls. The day of the release, I ordered Sam’s Bicycle and Bicycle Outfit along with Kit’s new meet outfit and accessories. I made a short video review of Samantha’s Beforever Bicycle Outfit. The minute the outfit was removed from the box, it was quickly whisked away by Avery, who is convinced that she is the rightful owner of these pretty threads, which were obviously specially designed to showcase her perfect complexion, dark ringlets, and rosebud lips. I have to agree, the outfit does suit her. Here’s the video along with a few more photos at the end. And check out our review of Samantha’s Beforever Bicycle here! What do you think of Beforever? Do you like American Girl’s update to the historical collection?